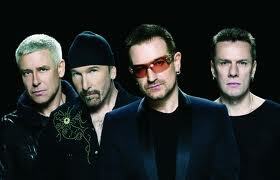 U2 are celebrating after political prisoner Aung San Suu Kyi was released from house arrest in Burma. Suu Kyi, the leader of the National League for Democracy in Burma, had been detained for 15 of the past 21 years because of her political views. The Irish rockers showed their support for the longtime social activist during their world tour last year (09), urging their fans to don face masks during their track Walk On, which they dedicated to Suu Kyi. And they were overjoyed to learn she had finally been freed over the weekend (12-13Nov10). A statement from the band reads, “There is a cautious joy amongst the campaigners for Aung San Suu Kyi’s release. Over the years we have feared for her life, and until Burma’s leadership better reflects its people, we should continue to be vigilant in our concern.